Commissioned by Lapka, a hardware startup, we have developed an enclosure structure, chosen components suppliers, produced a pilot batch, and prepared for the serial production a new premium product, the ceramic Lapka breathalyzer. The device connects to iPhone and displays the measurement results in the mobile app interface. 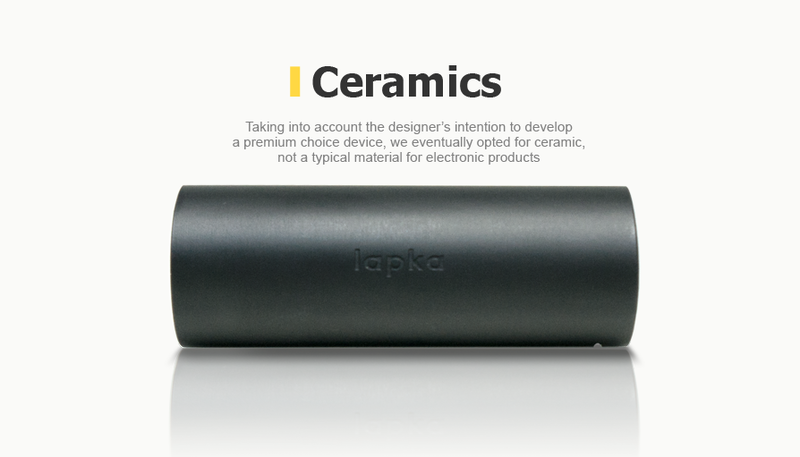 Lapka is the developer of the design and concept for the Lapka product line (2012), which includes miniature sensors that connect to an iPhone or iPad, as well as collect and analyze environmental data. 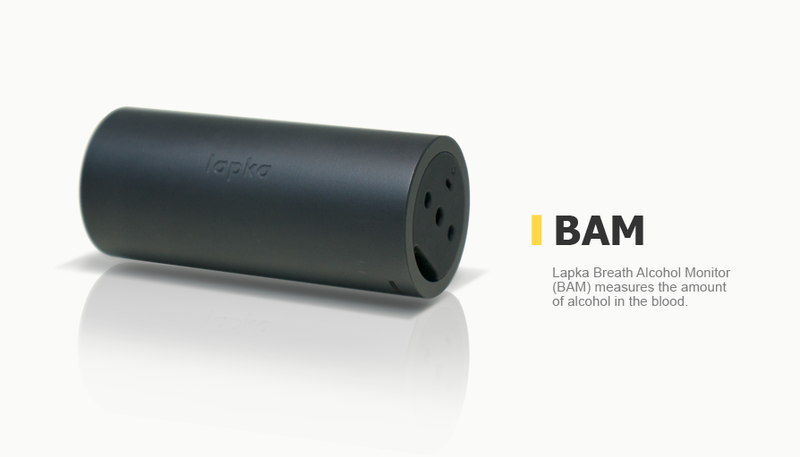 Selection of materials, design development, manufacturing of the initial batch of enclosure parts and mass production of enclosure parts for Lapka BAM (breath alcohol monitor). Development and manufacturing of a special charging cord for the product. Development and manufacturing of a carrying cord for the product. Finding and setting up delivery of specialized electronic components for the product. Working closely with Lapka’s concept designer, we tested a number of materials for the product’s inner and outer enclosure parts. Based on the concept design requirements for weight, solidity and the type of treatment required for external surfaces, we tested various types of plastics and metals. Taking into account the designer’s intention to develop a premium choice device, we eventually opted for ceramic, not a typical material for electronic product enclosures. A high density material as it is, ceramic has a pleasant heaviness and is hardly subject to any damage (cuts, scrapes, etc.). 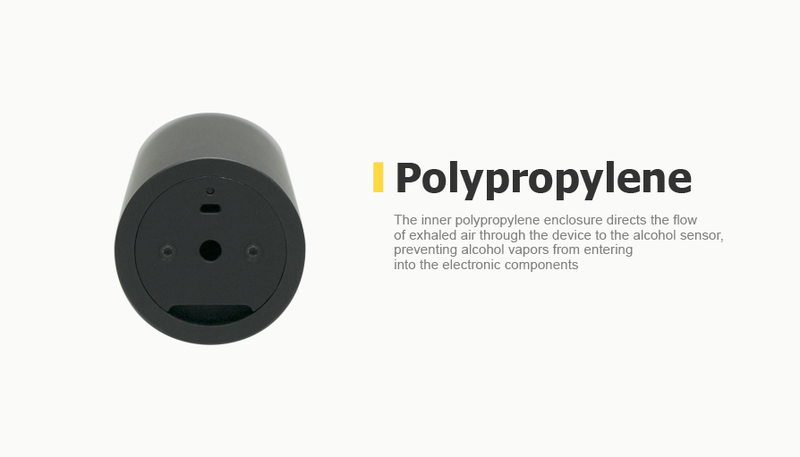 To ensure the product’s reliability, it was necessary to develop a self-contained inner enclosure designed to direct the flow of exhaled air through the device, allocate a required amount for the alcohol sensor and prevent alcohol liquids (vapors) from entering into the electronic components, thus avoiding corrosion and malfunction. Moreover, choosing a material for the inner enclosure was a no less challenging task because it was impossible to avoid chemical reactions with the alcohol sensor material. Finally, we selected polypropylene, which met the requirements. A combination of the concept designer’s exclusivity requirements for the outer enclosure, engineering requirements for a self-contained inner enclosure, and the constraints of technologies and materials determined the product’s structure, a cylindrical enclosure with a minimum of mounting components visible from the outside. A ceramic cylinder with the customer logo. The cylinder is fitted with components for fastening the inner enclosure, top and bottom covers, and a carrying strap. Bottom cover made of polycarbonate, inserted into the cylinder. The development of the inner enclosure design involved fitting the device with special components for mounting a PCB and alcohol sensor plates. Screws of an exclusive size and appearance have been developed to fasten the device. Additional accessories were also developed, such as a charging cord and a carrying cord. In addition, the engineers solved the problem of ensuring integrity of the channel for streaming the air through the device. The start of production involved the selection of manufacturers who can deliver a high-quality product, as well as the development and supply of equipment for manufacturing ceramic, plastic and metal enclosure parts. Special equipment was also developed and used to manufacture charging and carrying cords. 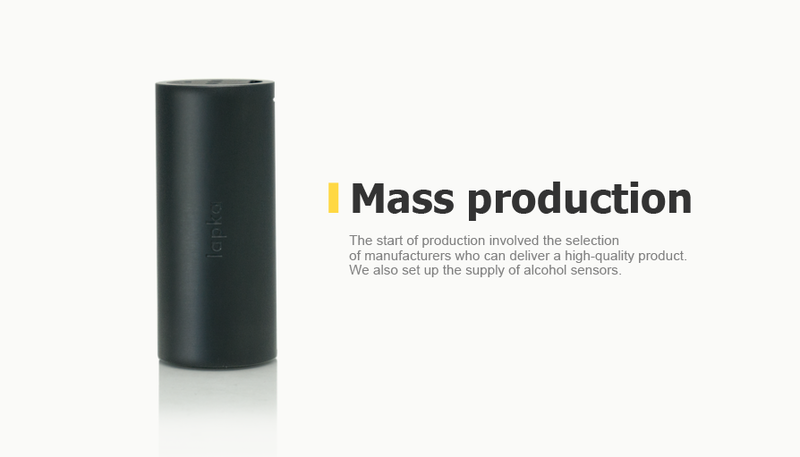 We found and analyzed a number of manufacturers, as well as set up the supply of alcohol sensors. A pilot batch of devices and accessories was manufactured. The product was launched into mass production. The enclosure of a premium-class product was developed within a short time, using various materials. Extreme hardness of the outer enclosure, combined with the resistance of the inner enclosure to corrosive alcohol vapors makes the device durable, as well as easy to manufacture and use.